PJ O'Rourke wrote a thought provoking WSJ editorial on zero-sum economics, but he is not the first to bring up the issue of zero-sum macroeconomic behavior. One of the best-sellers in economics during the early 1980's was Lester Thurow's Zero-Sum Society. This is a recurring theme when growth slows. If there is no increase in the economic pie, there will have to be discussion on how to take some of the economic share of another group. Growth theory has always been one of the difficult modeling issues of economics. Growth is often driven by innovation but the factors that will drive innovation are often not clear. Hence, a slow growth period will bring out the doom-sayers because they cannot see a path to higher growth. Consequently we then focus on the zero-sum argument. If the president believes there are limited growth opportunities, there will more focus on redistribution of wealth. Growth will not be a viable solution. It belays a lack of optimism on future economic prospects that effort will be rewarded with economic expansion. This is consistent with the Fed view of limited growth. An Age of Pessimism could be upon us. This is similar to the early 1980's, yet the markets were surprised by the faster growth of the post 1982 period. A quote to keep in mind as we head into 2013. We have spent the last year focusing on the view that there is large inequity and capitalism is bad. The rich are evil and should have their money taken away. The rich, however defined, should not be allowed to have their wealth and it is actually the work of others. There is a problem of inequity in the US and other countries, but forcing change in social relations will not provide us with a better economic system. The solution to problems in the US is growth and opportunity and not fighting over what is viewed as a limited economic pie. By definition, all but the last doomsday prediction is false. Yet it does not follow, as many seem to think than all doomsday predictions must be false; what false is only that all such predictions but one are false. Judge Posner provides a nice little book on issues of catastrophe risk. These risks are real and need to be addressed even if the events are very unlikely to occur. Cost benefit is not easy to apply in these cases but it still serves as a way to judge the size of the problem. Yet, how can it be easy to judge the cost of a pandemic, an asteroid hitting the earth, global warming? It is not, but just because it is hard does not mean that we have avoid the discussion and not try to plan for these events. As aptly put in the quote, most predictions will be false except for the last one. Brazil and China are among the EM central banks that are buying gold. They are starting at a low base relative to G7 countries but there is a clear indication that holding gold reserves is believed to be a good diversification strategy. In six of the last seven quarters, central bank buying has been above 100 tonnes. Still central bank buying was only 9% higher over the year while ETF buying was up over 50% for the year. The major Eurosystem, Sweden and Switzerland central banks are still subject to the third gold agreement which does not expire until 2014. The agreement limits sales but central banks have not fulfilled the maximum allowable tonnes that can be sold. It is not binding like first agreement when central banks were active sellers. The reason for central bank buying is separate from the usual view that gold is an inflation hedge. With interest rates near zero, gold can be viewed as a good reserve currency hedge. Gold is the only safe assets as defined by the IMF which is not a liability of a someone else. Gold is being proposed as a zero risk weighted item by the FDIC per a Financial Institution letter from June 18, 2012. Of course, this is still a drop in the bucket relative to what was sold during the 19 years ending in 2008. Central banks then sold about 10 million ounces a year. What is clear is that central banks especially in emerging markets want to hold other assets than dollars, euros, or yen. Too often the discussion of facts is assaulted as political. 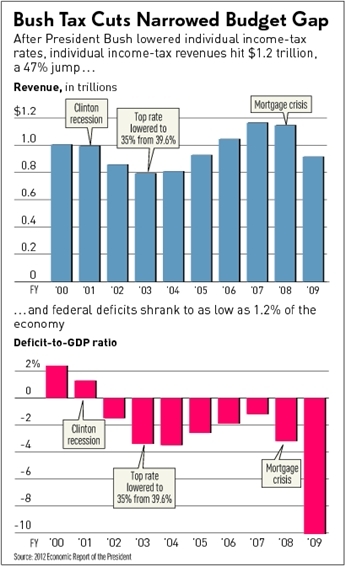 The fact is that we have a deficit problem. The fact is that the size is large and cannot be controlled through simple increases in taxes on households above $250,000. The facts are that we have growth and underemployment problem. Monetary policy is not going to be the solution. Why is this relevant for the investor? The truth and facts will prevail, so investment decisions should be based on what is real and not what is hoped for. Politics do matter because it can change timing and direction, but without a change in politics the assumption should be that facts will prevail. "You Americans love the dramatics of a cliff." This could be a comment from any international investor, yet there has been little consideration of foreign investors on the US debt problem. 1. Raising the rate on high earners will not raise significant revenues. The expectation is that the rate will increase revenues by $800 billion over 10 years with closing deductions raising another $800 billion over ten years. This will be $1.6 trillion over ten years. Some have already stated that a compromise will have this number be more like $1.4 trillion which is just over the annual deficit for one year. 2. Revenue will not increase without growth and there is no growth strategy. 3. Additional spending will increase by $50 billion which is close to 75% of the increase in taxes. 4. 45% of the tradeable debt is held by foreigners. They will control the fate of the rates in the US. The Fed cannot buy all of the new debt even with a program of $85 billion per month broken between $45 billion in Treasuries and $40 billion in mortgage debt. Japan is only in debt to other Japanese while the US is in debt to other parts of the world. 5. Total debt is $16 trillion so a 1% increase in interest rates will add over time $160 billion per year in transfer payments form taxpayers to debt holders. 6. Sovereign debt is no long risk-free debt, so the assumption that US debt being safe is wrong. The demand for US debt may change. 7. The debt ceiling debate is not part of the fiscal cliff at this point. 8. The dollar is important to any discussion of debt because foreigners hold Treasuries in dollars. The desire to push the dollar lower will hurt the Treasury debt holder. 9. The rate and float of all Treasuries will be determined by Fed buying. Th float of long-term Treasuries with maturities more than 10 years is only $750 billion. 10. Financial repression is controlling the demand for Treasury debt. The financial repression may not work with foreigners. 11. Foreign bondholders do not like negative real rates. The safety of a rising dollar will not solve the negative rate problem forever. Now we know the new Fed goals. Bernanke has been willing to try almost anything to solve the slow growth problem which in reality may be out of his control. Unemployment has to get down to 6.5% from the current 7.7% and inflation has to be no more than 2.5% one or two years in the future. The monthly buying program was increased to $45 billion Treasuries from "just" $40 billion in mortgages per month. So now the Fed will be growing its balance sheet each month by $85 billion, over $1trillion in a year. The Fed balance sheet in total was just under $1 trillion just a few years ago, now it will be growing by that amount in 12 months. By 2015, the balance sheet will be close to $5 trillion. The doves are in control, or so it seems. More interesting is the fact that this combination of policy is a variation of the Taylor Rule that some would say the Fed has been following for the last two decades. The differences is that there will be more weight on the unemployment portion and the inflation target will be higher. The most interesting part of this view is that it actually creates new uncertainty. What happens if the tamed inflation of today actually reaches 2.5% before the unemployment rate hits 6.5%. Alternatively, what will happen if unemployment does hit 6.5%? Will we see the fed reverse policy. Clarity actually can increase the number of questions that investors may have. Keynes, at the end of the General Theory, poetically called for the “euthanasia of the rentier". Eliminate the premium associated with the scarcity of capital. This was a view that was not followed by Keynesians of the post-WWII period, yet this may be policy of choice around the Western world. We have gotten negative nominal interest rates in the Eu-zone and negative real rates is part of the normal policy choice. No ventral bankers is interested in what "rentier" think or what the impact will be on their wealth portfolios. there is talk about entrepreneurs, equity holders and homeowners in debt, but the people who clip coupons are just not that important. The policies of financial repression are in place to make sure that rentiers do not avoid their fate. Place capital controls and regulation on the movement of capital and negative rates will strangle the bondholder. However, if we euthanize rentiers who will finance the future we want. Where are bond vigilantes? The guys who will sell bad bond credit. Where are the equity vigilantes? The guys who will sell poor economic growth and bad cash flows. The tax vigilantes who will take capital gains now to avoid taxes tomorrow. The markets do not seem to be reacting to the fiscal cliff. Yes, there are declines when there is new announcement in press conferences, but the trend is at worst sideways. There is no cliff as measured by the behavior of markets. There only is two weeks before liquidity starts to evaporate. Then it is almost too late. Is there the assumption that the life will be avoided before Christmas? That does not seem likely. Even if there is an agreement on taxes for the 2%, there is still the problem that capital gains taxes are going up. Dividend taxes are going up. The ObamaCare taxes are going into effect. Payroll taxes are going higher. The sentiment seems like we are bored by the process, yet the end is coming it is just beyond the Mayan calendar issue. We need market vigilantes to send a message.Where are these people? The foreign bond holders should speak. A person is smart. People are dumb, panicky, dangerous animals and you know it! Great quote on the behavior of the crowd and why it cannot be trusted. Most people are rational when isolated from the group and given time to thing. It is very different once you put them in a group. Forget the wisdom of crowds. Emotions take hold and thinking is gone. The talk of risk-on/risk-off trading has been the key uncertainty driving markets for the last few years. It could be one of the chief reasons for why longer-term trend-followers have recently had a hard time making money and why fundamentalists have been unable to exploit economic imbalances across countries in the FX markets. It may not be appropriate to call RORO the period’s defining market paradigm or regime, but it is clear that RORO behavior was not strongly present prior to the financial crisis. There is no agreed definition of what is a risk-on/risk-off trading behavioral regime. However, we can identify environments that are more subject to this type of risk, those with increasing correlation across markets. We have informally discussed these environments before through comparing correlation heat maps which provide a static snapshot of changes in correlation. In a RORO regime, markets move together in a manner that is reinforcing; however, this is without clarity on the direction of causality. Sensitivity to a single macro factor will create higher correlation across markets. More highly correlated markets suggest more RORO behavior to any single market event. Clearly, RORO switching between safe and risky assets is focused on changes in common macroeconomic expectations which cause all markets to move together. Nevertheless, it is hard to define what specific economic events will drive RORO trading. It can be a policy or data announcement or even a press conference comment by a government official. Risk aversion indices can also capture some of the factors which seem to lead to RORO trading unrelated to specific macro-events. Factors which express investor sentiment on risk aversion such as the VIX index or credit spreads are indicative of market risk perception. All these events cause markets to quickly adjust asset allocations in order to avoid market downturns or participate in market gains. Nonetheless, the sets of factors which drive RORO behavior are unclear. Hence, there needs to be a more precise way to isolate and research RORO trading as something unique. How does this relate to trend-following? One of the key characteristics for longer-term trend-following is that trend are relatively smooth. The volatility around the trend is not large and there is diversification across markets. The diversification across markets is necessary because the success rate for most trend-following models is low. If there is more correlation across markets, there are fewer trends and the risk associated with any program of trend trades actually increases. Hence, the risk for a trend follower is higher. The type of volatility is important because trend-followers are actually long long-term volatility and short short-term volatility. The trend-follower likes long-term volatility because this supplies or represents market range. If there is no range over the long-run, there is no opportunity for the trend to establish itself and have a chance for accrued profits. With RORO trading, there is less chance for long-term trends because the market moves between holding risky assets and safe assets. The switching causes significant short-term price reversals which create noise for the trend-follower. It is the short-term volatility which is disliked by many longer-term trend-followers. Short-term volatility will increase the amount of noise which will reduce the change of finding trends. The noise will be unrelated to the supply and demand of a specific market dislocation. The trend has to be stronger to provide a clear signal around the noise. Since trend-followers often have stop loss provisions with their models, short-term volatility increases the chance that stops will be hit. A good trend trade could end because of the stop. Hence, short-term increases in volatility actually reduce the success of trend-followers. A RORO environment will increase this short-term volatility. This will be bad for trend-followers. It should not be surprising that trend-followers have underperformed. They will have to wait for larger moves with one directional volatility that can be exploited. If RORO lasts for a long period, that is, risk-on or risk-off lasts for an extended period, there will a chance for strong profits. Periods of strong managed futures performance have been associated with extended risk-off behavior. Research on changing correlation across asset classes has been undertaken by both academics and major banks. The focus of this work has been on how correlations across a broad set of assets change through time. In particular, a large correlation matrix of assets can be adopted to measure joint correlation for the entire set. Statistical analysis, using principal components, can measure the extent that a single factor or component is associated with the correlation change. This type of work has shown that correlations across asset classes are on the rise since the financial crisis of 2008. The higher correlations across all assets find markets more susceptible to a single factor driving performance. The reasons for the higher correlation across markets are manifold. The globalization of financial markets with limits on capital controls allows the free flow of funds to impact multiple markets over short time periods. The focus on asset managers to tactically move money across asset classes and manage the entire portfolio has also caused a stronger link across markets. Research has also found that correlations will increase during market downturns and recessions which will explain the jump in correlations during the Great Recession. Research has also found correlation of asset classes increases when volatility increases which we suspect causes more risk averse behavior. The RORO regime may be with us for some time. The talents of Paul Volcker have been wasted on the Volcker Rule. There is nothing wrong with the concept of the Volcker Rule and in fact, it is useful to have especially if the government is providing a deposit guarantee to banks. Yes, it would be hard to determine prop trading, but policy should not let banks take excessive risks with taxpayer guarantees. Paul Volcker could do more to help with the current crisis and has done more to solve some of the biggest financial problems facing the US over the last 50 years. Bill Silber has provided a very good biography of a great public servant. At times Silber may be excessive in his praise, but Paul Volcker has provided invaluable service to the US through working through some of the most difficult financial and monetary problems of the last 50 years. The two key battles he fought was the US's movement away from the Bretton Woods fixed exchange rate gold standard system and breaking the back of inflation during his time as the Chairman of the Fed.The Fed period is the most controversial. He was a pragmatist who used a smokescreen of monetarism to raise rates and break inflation even in the face of intense pressure form the Reagan administration. He could have folded under this pressure but he kept rates high even with significant budget deficits. Most important, Volcker stuck to principles on what is good policy even in the face of strong political pressure. He understood the politics and could be loyal at implementing the policies of the administration he worked for, but he always tried to move policy in the right direction. Lower top rate and gain more revenue? You cannot get a clear test on tax policy to determine the revenue gain from a change in rates unless you can control or isolate other factors. This is what makes economics so difficult and this is what makes economics different from other hard sciences which allow for experimentation. Nevertheless, the following graph has to be considered when discussing policy. The tax cut occurred at the highest marginal level and revenues actually increased. If the policy of raising rates is to get more revenue, the conclusion may be flawed. We have been sued to Risk-on/Risk -off trading environment for the last few years, but for the month of December we will have a CoCo environment, Cliff-on/Cliff-off. The markets saw a big move today based on the last remarks on the fiscal cliff. We run over the fiscal cliff and the market falls. If the fiscal cliff is perceived to be avoided, we have a rally. The rally is based on the fact that spending will not be reduced meaningfully. If we move off the cliff, the expectation is that there will a recession in 2013. The market declines. Expect more of this over the next 30 days. Life in the commodity markets is based on many forms of arbitrage or relative pricing. Arbitrage determines price in the context of other prices. Of course, arbitrage tells us something about commodity price relative to other market and not completely about valuation. Relative value arbitrage will tell you about prices differences but not true value; nevertheless, relative value is often the process engaged by most fundamental commodity traders. Stephen Ross's words that "All it takes to turn a parrot into a learned financial economist is just one word - arbitrage". Larry Summers pointed out in his wonderful parody of financial economics "Traditional finance is more concerned with checking that two 8oz bottles of ketchup is close to the price of one 16oz bottle, than in understanding the price of the 16oz bottle". We identify a number of arbitrages that exist through commodities. We will explain and provide examples of types that can be traded or exploited in the futures markets. This does not include all of the combination that may exist in the cash market, but this set provides a robust number of examples of arbitrage. Quality arbitrage - the relative price of different grades or quality within futures markets. In the cash market, quality or grade is priced as premium or discount versus a standard grade which will be the futures contract traded. Still, there are quality arbitrages across futures. The driver of quality arbitrage will be a shortage or oversupply of the grade of commodity. In the case of wheat, there are a number of futures contracts which do not represent the same grade. If there is a shortage, there will be a greater premium for high protein wheat which is used for human consumption. Hence, KC - Chicago spreads will widen when inventories are low or stock to use is low. Kansas city wheat versus Chicago wheat will be an arbitrage based on protein content of the wheat. Kansas City versus Minneapolis or Chicago will also based on type of wheat priced. LIFFE Millers wheat versus Chicago wheat are different grades, (additionally a location difference). There are differences in coffee quality between Robusta and Arabica. Arabica coffee represent higher quality beans while Robusta beans will be almost like a shrub row crop and not as flavorful. If incomes increase, there will be a higher demand for Arabica beans. There is little quality difference in the industrial and precious metals futures markets between the London and New York markets. However, the specs for each contract are slightly different. There are grade differences between brent and WTI but the main differences are locational; nevertheless, WTI will be a light sweet crude while oil coming from most parts of the Middle East will be more sour and heavier. Locational differences are associated with delivery points but more importantly, they can be associated with production or growing locations. Delivery points and contract trade locations means there is not a perfect arbitrage and currency differences can lead to risk unrelated to the underlying commodity. There are dual NY versus London contracts in coffee, cocoa, and sugar. The delivery differences will be one of the main drivers of arbitrage. There are locational differences in wheat contracts. There are other futures which are not liquid which can represent locational differences. There are differences in New York and London contracts for most industrial metals. There is also an arbitrage between NYC, London, and Shanghai in copper. The main difference is Brent versus WTI which is a locational difference. The locational differences allows for supply imbalances to drive spread differentials. There will be locational arbitrage between NY and London contracts. Basis trading is strong between locations in natural gas. Product arbitrage - There is strong arbitrage link between the raw material input and the products that come from a commodity. This a key driver of pricing because inputs cannot rise above a level that will make transformation uneconomical. Agricultural markets: To name a few. Corn/ethanol - The transformation of corn into ethanol and DDG's. cocoa grind - The grinding of cocoa into butter and powder. The use of corn to feed hogs which is the switch to protein. Oil to refined products. Crack spreads. Switch between corn, wheat and soybean meal as feed. There is also substitution of what will be grown. In the Midwest, there will be switching between corn and soybeans. If there is a commodity, there is a relative price arbitrage. Claudio Borio of the BIS has provided an interesting paper "On time, stocks, and flows: Understanding the global economic Challenges" which may be one of the most thought provoking research pieces for investors trying to understand the current environment. We have been through the Age of Stagflation, the Great Moderation, the Age of Turbulence, The Great Recession, but we are now entering a new area, the Age of Policy Drama. Borio takes a economic historian's view of the crisis and concludes that the time between economic cycles and policy behavior is not in sync, so we have a disconnect that cannot be easily solved. In Burns and Mitchell’s terminology, economic time has slowed down relative to calendar time. That is, the macroeconomic developments that matter take much longer to unfold...Yet the planning horizons of market participants and policymakers have not adjusted accordingly – indeed, if anything, they have shrunk. There seems to be less patience with policy-makers. I want a solution and I want it now without any pain. Stocks build up above trend during financial booms, as credit and asset prices grow beyond sustainable levels, and generate stubborn overhangs once the boom turns to bust. Stocks raise serious policy challenges. In the presence of policy responses that react too little to booms and too much to busts – in jargon, that are asymmetric – stocks grow over consecutive business cycles. If this diagnosis is right, the remedy is not hard to find, although it may be extraordinarily difficult to implement. In a nutshell, it is to lengthen policy horizons, to put in place more symmetrical policies, and to tackle the debt problems head-on. Borio argues that the financial busts we saw in 2008 are not dissimilar to what we have seen in other financial crises. These earlier financial crises do not have derivatives or the Wall Street of today, yet there were crises. there is something inherent within the economic system that leads to boom and then busts. Historian have noted this is the past. There are some similar characteristics to all financial cycles. First, there are imbalances based on excesses. Excess credit and excess borrowing. The excess could be caused by financial liberalization. This could regulation or it could just be looser credit, but there are fewer constraints on the financial excess. Second, there is a regime of stable and low inflation which provides the view that the central bank is credible and and there are limited risks in the system, This has been called the paradox of creditability. Third, globalization makes the world more sensitive to supply shocks. Changes in the global environment can carry over to other parts of the globe. Government have focused on the micro prudential issues of how to regulate a bank and not on the systematic issue of how the protect an economy. The macro risks of a financial cycle will actually grow. For example, monetary policy focused on the equity markets during the crash of 1987 and the dotcom boom and not on the overall credit conditions of credit expansion and property values. The focus on the micro lead to further excesses toward the financial cycle. A financial cycle decline leads to a balance sheet recession and not a classic inventory recession. Hence, if you fight with tools and a view toward business cycle problems, you will addressing the wrong problem. The focus has to be on balance sheet repair. In a balance sheet recession, fiscal and monetary policy may not be effective as in an inventory recession. First, fiscal policy may not prime aggregate demand because balances sheet will be in repair. Spending will decline. Monetary policy will not be effective because the balance sheet of financial institutions will be in disarray. Lower rates will not serve as a solution. Liquidity will be needed but driving rates to zero is not the solution. Are there clear solutions to the problem. There are clear policies that can help repair balance sheets, but to avoid the financial cycle in the first place there needs to be a macro buffer to slowdown growth and financial excesses during the boom period. Navigating the tricky waters ahead will require a balance between Gramscian “pessimism of the intellect and optimism of the will”: pessimism to assess the challenges ruthlessly, never underestimating them; optimism to overcome them. And, as the late Tommaso Padoa Schioppa stressed, it will require a long- term view. Chocolate as the poor man's luxury is starting to be affected by the global slowdown especially in the EU. The largest demand for cocoa is in Europe and the latest grinding numbers show another slowdown. The slowdown in the second quarter was 18 percent while the third quarter declined 16 percent. The North American grindings were down by 9.8 and 2.2 percent in the second and third quarter. This suggests that demand is falling and something to watch more closely over the next quarter. However, like any market, looking at just the simple numbers may not provide the correct insight. Cocoa beans are grinded into powder and butter. Grinders make money based on the combined ratio, the price of butter and powder divided by the cost of beans. This is a simple arbitrage no different than what is seen in other markets from soybeans where profits are determined by the crush and refiners where profits are based on the crack spread. If demand decreases there will be less grinding yet grindings will also be effected by the amount of butter and powder that this held in inventory. If there is a build of butter and powder and the combined ratio declines, destocking will reduce the grinding for any period. if spreads on products move higher, grindings will increase. The latest combined ratio suggests that grindings will again pick-up. The cocoa tree flowers in two cycles of six months the whole year round. Like most crops there will be periods of excess supply based on harvest that have to be controlled to maximize the price to farmers. About 40% of the crop is lost to pests and disease every year. An average tree produces 30 usable pods, which will leads to about 2 pounds of dark chocolate. The weather is critical and the location of production cannot change, although Malaysia is planning to increase production. The producers want to minimize market volatility. The grindings will also be affected by changes in the market structure for cocoa. There has been an excess of grinding capacity which as caused the build in butter. There is a change in the market grinding capacity and where it is done. The EU and Switzerland usually represents 40% of the world grinding, but there has been a marked switch in grinding locations closer to the source in Africa and the places of new demand such as Asia. Grindings will decline in Europe not because there is a double digit decline in demand but because grindings are done elsewhere. The grinding decrease in Asia has not been as large as seen in Europe. There are government incentives to have more value-added production in Africa. There is also a new marketing system in the Ivory Coast, which represents a third of the world production, which has placed more uncertainty in the cocoa industry. The Ivory Coast will be regulated by the Cocoa and Coffee Council who will control the daily auctions which will set a guaranteed price for farmers and the export price. There will be a limit on how much any exporter can buy of the crop. There would be a stabilization fund which is used to minimize the difference between the farmers and export price. 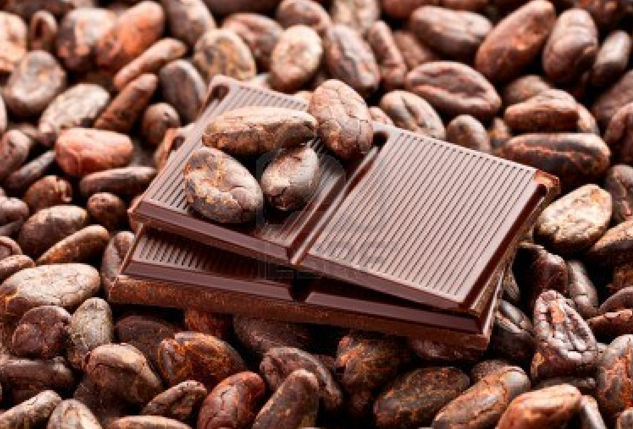 These changes in the distribution of cocoa from the farmer to the grinder has caused the market to be more cautious. Ghana also runs a state controlled system that guarantees a fixed price for farmers and is the second largest producer while Indonesia is the third largest bean producer although its crops have been of poorer quality with falling productivity from older trees. Nigeria is the fourth largest producer. The top four represent 74 percent of the world's production, so if some of the traditionla sources of production chnages the rules of the game, there will be a market reaction regardless of supply and demand conditions for cocoa and chocolate. 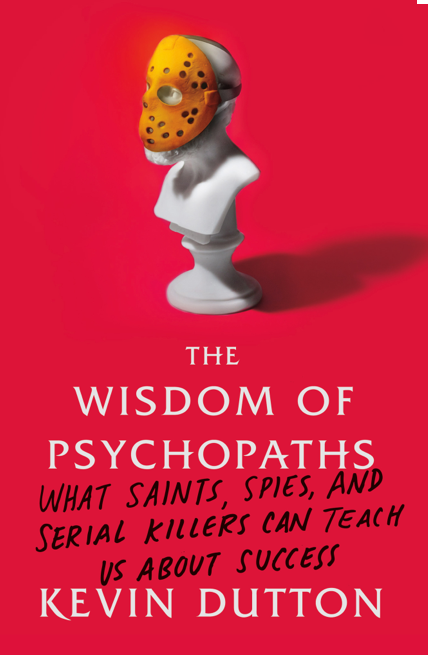 All psychopaths are evil, or so goes the conventional wisdom. 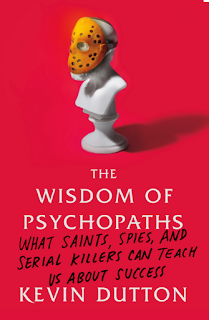 The Wisdom of Psychopaths by Kevin Dutton actually provides an alternative perspective whereby someone who has the characteristics of a psychopath can actually do good, or at least have characteristics which will be extremely useful in some professions and situations. Dutton develops his thesis in great detail through case studies and a review of the deep research on the subject. It shows that there is a continuum of personality characteristics which include those of psychopaths. Some of the characteristics which we abhor with criminals are actually very useful in some settings. Perhaps the main characteristics of any psychopath is the lack of emotion or empathy in their behavior. They are without the normal sense of human emotions. This could be a hyper-focus on rewards or goals but psychopaths have very little or no risk aversion in many situations. For the doctor who does not get emotional about an operation, for the spy who can mask his behavior, and for the hero who does not think about fear, the characteristics of the psychopath are useful. When tested, many of the best professionals in certain high risk jobs have the same characteristics as the criminal psychopath. The difference is that the focus may be for the good as opposed to evil. From a trading and investment profession, this may be very useful. The poker player who can sustain losses has an edge versus other players. Think of all of the behavioral biases that exist or all of the problems with changing or increasing risk aversion. What if the trader can be a risk neutral machine that will not allow emotions to enter his decision process? He would be a better trader. So, it is possible that those traders who minimize their emotions may actually score high on tests which measure characteristics of psychopaths. This does not mean that all good traders are psychopaths, but it is interesting to suggest that characteristics which we may not like in normal behavior will actually be very useful for survival in a trading situation. We have just started to scratch the surface of what it means to be a good trader or what it takes to make better decisions and the psychology of the trader may be one of the key components. Of course, the good trader sitting next you may be a psychopath. The fear of the FC's is gripping the markets. The three FC's are financial crises, flash crashes, and the fiscal cliff. Financial crises are more now on everyone's mind. There will be another EU crisis. There could be a French ratings crisis. There is an ongoing fear of a banking crisis. Crises are now expected everywhere. There is good reason for this view but it has gripped the markets at every turn even in the face of an equity rally. Flash crashes are not only possible. They have occurred with growing frequency. The real problem is that like the sound a crack in the bush which scares animals, investors have to act first and think later. So many will just stay out of the market. Finally, the fiscal crisis is coming soon and there is no answer. Is there such a thing as a bond bubble? There has been more talk about bond bubbles, but it truly is misplaced. Rates are low because governments and central banks want them low and the markets believe those policies and the effectiveness of the central bank to deliver on that promise. Part of the central bank promise is to push rates so low that market participants will seek higher yields in other asset classes. They have been effective at moving money to riskier assets and have pushed credit spreads down. The result on the other side of the equation is that borrowers are coming to market if they need cash and holding more cash if they have it. Is this the signs of a bubble? It could be an exaggerated policy but no bubble. It is not irrational to follow the rates lower. However, like any momentum strategy this cannot last. rates will have to move higher. The reversal of policies and inflation is not a bubble but the natural course of events. Global asset allocations are becoming more biased to fixed income. Global asset allocation has moved above 50% when you look at bonds and cash in some surveys. $4 trillion has moved into fixed income funds versus $400 billion in equities over the past four years. The global pension market has moved from a 61/30% allocation to stocks and bonds to now 41/37%. Of course, over this time we have seen a significant increase in equity returns. The real returns on cash are negative. the real returns on bonds are negative. So the current asset allocation is a slow bleed of loses. If you consider that rates move back to longer-term averages of 5% in the US, the bleed is even bigger. The unsophisticated investor in futures and equities is a bad timer. The same may also include fixed income investors. We could be in a bad timing phase for all investors with respect to fixed income. There is limited reason for a fixed income gain except a complete failure in government policies. The Ban of China has more actively used open market operations to implement monetary policy. They are becoming more like Western central bankers and less dependent on changes in reserve requirements or loan policies. This is a natural part of the maturity of financial markets in China and the reduced dependency on bank lending. Reserve requirements are a very blunt instrument and not something that can be sued in a complex banking system. Still, capital flows through a limited number of state banks. There needs to be a more open financial system but it is unlikely to occur under the current government. 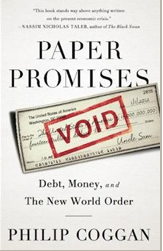 Philip Coggan of the Economist has written a good history for anyone who want to understand the nature of a debt crises in his new book, Paper Promises: Debt, Money, Money and The New World Order. He provides a perspective on monetary economics through reminding us that money a paper liability based on trust. Debtor and creditor battle have gone on for centuries and you cannot separate money from this old battle. Debtors want cheap money and lots of it and creditors do want to debase their investments. They want to paid back with a real return. The people want cheap money and the wealthy creditors do not. Kings who borrow want cheap money. democracies controlled by the people want cheap money. This is why we constantly have to worry about inflation an monetary control. Monetary control can assessed through a hard currency base don gold. Paper money or a claim on other assets like gold is a recipe for excess. Paper money was introduced by the Chinese and may have been imported to the West by Marco Polo. When inflation became a problem the Chinese switched to silver. The west was left with the problems of paper money. Marias on the return to metal coinage after Law, "Thus ends the system of paper money, which has enriched a thousand beggars and impoverished a hundred thousand honest men." Being on the gold standard is silly, but the potential ravages of paper money have never been controlled. Financial bubbles are always tied to loose money. Bankers, governments and debtors are all greedy but they only act on excesses through loose money. History does not tell any other story. Just ask Coggan. Prime Minister Margaret Thatcher's 1976 warning, "socialists always run out of other people's money". Fonterrra the milk co-operative New Zealand will allow non-farmers investors to buy into the firm. Fonterra is trying to raise 500 mm NZD through a share class offering that will price next week. The interest is very strong for this offering which will not have nay voting rights but an economic interest in cash flows. Fonterra is the 800 lb gorillla of the milk industry and has changed the way bsuiness is done even in the US through its global auction process. Dairy represents 25% of New Zealand exports with inroads all around Asia as well as Latin America and the rest of the world. 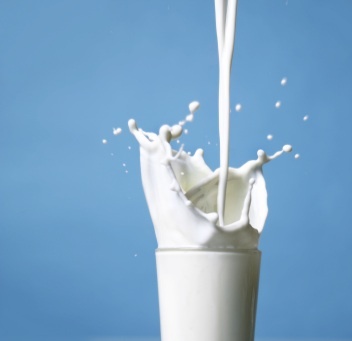 Milk prices are high in the US but volatility is high. A slowdown in growth or more competition will have a strong impact on this industry. The days of family farmers providing milk to the world are gone. Xi Jinping is the new head of the communist party in China as the general secretary of the Central Committee and this may be more important than the US re-election of President Obama. China has moved from the six the largest economy to the second largest in the last decade, but growth has slowed and exports as a key driver may be a thing of the past. Now the theory of Kexue fazhan guan or the scientific outlook on development developed by Hu Jintao will be put to the test. Economic development is messy and a conservative government may not have the stomach to allow freer markets and less emphasis on state enterprise as a solution to China's problems. The ramifications for the rest of the world will be significant. We have gone done the path of controlled or scientific modeling of economic growth. The result has usually been failure, so it will be interesting to see how the internal consumption wealth distribution and growth will be addressed. Will it be through freer expression of capitalism or more state control? This is an Eastern variation of the Hayek versus Keynes battle. The Carlyle group has bought a minority stake in the Export Trading Group (ETG) which is the largest trader in cashew nuts. Glencore bought Viterra of Canada, Marubeni acquired Gavilon, and ADM is trying to buy GrainCorp. Bunge is trading a highs for the year, but Olam is involved is a nasty short fight with Muddy Waters LLC. Trading firms in the commodity markets are a hot area of interest, but for how long? Tax rate policy - why the muddle? Stephen Moore wrote an editorial "Why Lower Tax Rates Are Good For Everyone" in the WSJ which lays out a strong case for lower not higher rates. Granted the size of the deficit is high and there will have to be higher tax burdens at some time. However, the burden should be on growing revenue not setting rates. More growth will add more revenue. Fewer deductions will add revenue and reduce distortions. History shows that lower rates have lead to more revenue. This can be achieved even with a progressive tax system. The tax system becomes less progressive when deductions are greater. When Coolidge, Kennedy, Reagan and Bush lowered tax rates, revenue increased. What is different this time? Is there a strong case for gold? Geopolitical risk and market uncertainty still exist. One could argue that there is always strong geoplitical risks; however, the current risks are increasing and this makes for a better environment for gold. The fiscal cliff in the US is real -The taxes increases will occur in less than 40 days and investors do not have an idea of what will happen. Planning for year-end 2012 has to take place and selling more likely. If there is a place to put your money, gold seems likely. EU risks have not diminished - There has been some improvement in the economic conditions of periphery countries like Ireland, Portugal and even Spain and Italy, but the issue of Greece stills exists and France has been downgraded. Reflation risks are growing - Deflation never occurred during this financial crisis. Inflation never left the financial system. The level of inflation is till low at around 2% but the threat is on the upside. Global growth risk greater - There is the belief that gold is correlated with risk-on behavior over the last few years. But if there are no good investment projects, the demand for gold will go up. What is the cost of being wrong? -The cost of holding gold is low when interest rates are low; consequently, investors can wait for their doom. Lenin called grains the "currency of currencies." Worst conditions in 27 years for winter wheat in the US. Some are invoking the "Dust Bowl" to describe the current environment in the US. Surprisingly, the cereal crop with the greatest price move this year is wheat not corn even though news reports focused on corn during the summer. The wheat market is a global market and with stocks to usage forecasted to decline further this year to about 24% we are seeing more price increases. The US is in bad shape, but so are other bread basket areas - Russia, Ukraine, Australia, and Argentina. The 2012-13 season is looking to be 661 m tonnes which is below the current consumption of 688 m tonnes. Places like the Ukraine and Russia which have served as residual exports on the wheat market will be subject to export restrictions. We are seeing these countries actually accelerate corn exports and withholding wheat. Wheat prices are near 2008 highs and are more than double the price from ten years ago. This will be the commodity market that will show some of the most price action in the next three months. Garry Kasparov and Peter Thiel discussed technological progress in a recent FT editorial which is very thought provoking. What is progress and have we moved forward or was the IT boom and dotcom boom of the last twenty years just an illusion? Compare this with the Green Revolution in agriculture, jet travel, or the advances in medicine in the 1950's. We have had technological acceloration but is that the same as innovation? Are we actually caught in a period of stagnation where some of the best theses on growth is to limit it? This is not the first time that innovation has been questioned. I am thinking of the "small is beautiful" period. We have to access technological progress and determine whether we are going in the right direction, or more importantly, do we have any direction at all. Is there a purpose for a debt celing? On Bloomberg TV, “Political Capital” host Al Hunt asked Geithner if he believes “we ought to just eliminate the debt ceiling.” “Oh, absolutely,” Geithner said. ... “It would have been time a long time ago to eliminate it. The sooner the better." Households do not have debt ceilings. Companies do not have debt ceilings. Why should a government have a debt ceiling? The answer is simple. The Congress and the citizens cannot be trusted to hold down spending so this imposes a target on the size of the deficit. Imposing rules on potential bad behavior is time honored. The debt ceilings have always been raised, but the discussion about the size of the debt serves a useful purpose. Rating agencies are not upset with the debt ceiling. They are upset with the size of the debt. Hence, it is hard to argue that eliminating the debt ceiling will be good for the country. I would argue there is no need to ban the ceiling. However, a debt ceiling tied to the size of the economy or more regular reviews would make sense. Foreign regulators to CFTC - enough! The CFTC will have tremendous reach into the swaps business through Dodd-Frank. The EU commission is having problems with the regulation. The FSA says that the rules may not work for year-end. There is clarity to the rules. and this comes from the FSA, The EU, ESMA, BOJ, Bank of France, Swiss regulators, and Japanese regulators. All argue that there iwll be more market uncertainty. What should be the reach of a domestic regulator in an international market when the rest of the world does not want to follow the same standards? The result is deglobalization and a movement back to regional banking. Capital flows will be impeded. French banks will not do business in the US. UK banks may move into different markets. The center of the financial world will move away from New York. Perhaps this is what is wanted? The corn belt is moving North. Climate change is forcing changes in planting. The drought of 2012, the worst since 1954 will have a significant impact on planting next year. It is already affecting the wheat crop, but this is just part of a larger story of changing patterns in weather and climate. Corn acreage has moved north into Canada and has been reduced in places like Kansas. The longer-term drought makes corn in Kansas less viable, but the change in growing days (number of forest-free weather) is also driving patterns in planting. With a few extra growing days, a region can sustain different crops. Canada can support wheat, corn, soybeans, canola and more. This has resulted in more physical assets to support plant diversity. 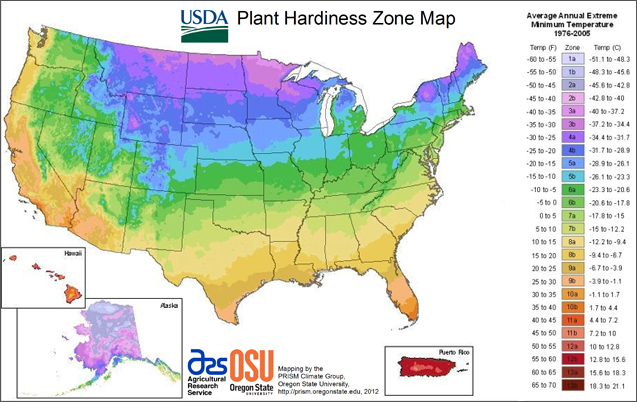 The Hardiness map shows a change to warmer climates. This change in climate has an impact on crop insurance standards. While this cannot help predict price, it will tell us there is more at risk in agriculture. Lorraine Adams, Washington Post reporter, provides an interesting assessment on news reporting in the blog, The Browser. News is related to a reporter's sifting of facts. Facts that can be placed into neat stories. Facts that are easy to explain with the other goings on in the market. There is little analysis because that is what portfolio managers do. Managers try and understand the facts reported and find those new facts that do not make sense or were not reported at all. I think news organisations are part of a difficult to grasp paradox: They rarely know how to deal with anything completely new. They’re best equipped to promulgate conventional wisdom. Her assessment of Walter Lippman's Public Opinion is good food for thought. It was written in 1922 and is an insider’s view of how news is made. That is, news is a made thing. News is not facts. News is what is easiest for a reporter to recognise, not necessarily most important for the public to know – a kidnapping, a bombing, a court filing, anything that pokes up from the irregular and massive tissue of reality and events. That famous line – ‘Every journalist who is not too stupid or too full of himself to notice what is going on knows that what he does is morally indefensible’ – is an overstatement. Yet it stands for a deeper problem. The news reported is not the truth but just a view and a opinion. The internet has shown that the editing of the news, determining what stories to print or not makes all the difference in the world. The yen is at the highest levels since the spring. Is the period of endaka or yen strength ending? Certainly, there is a need to have a weaker yen with Japan again recession bound and corporations hurting with their export sales. The Japanese economy is going in a different direction for the US so there is a natural currency weakness. Monetary policy seems to be getting another jolt to be more accommodating. There seems to be an accord between the government and BOJ that they want to get serious about easing. There is a statement that they will "work together". Japan needs to get Swiss serious. There also is a higher expectation that any change in the guard at the BOJ will be more willing to raise inflation targets. The potential new LDP prime minister, Shinzo Abe, have been calling for a inflation target between 2-3 percent. Abe has called for unlimited accommodation from the BOJ with a zero interest rate. He would like to see an end of deflation and a weaker yen. Parliament is likely to be dissolved tomorrow which means an election in the next month. Article in Agrimoney suggests that the decline in commodities is a result of the rising dollar. A dollar rally will cause further commodity sell-off given the higher cost of goods priced in dollars. There is a strong relationship between commodities which are often priced in dollars. The commodity beta using the dollar as the independent variable is slightly above one. A longer-term number is even higher. If the dollar is going higher, you want to be a seller of commodities albeit the correlation can change and has moved form close to zero to -.5 over rolling 120 periods in 2012. The Agricultural index beta is just less than 1 at .93. For the energy sub-index, the beta is higher at -1.23. The industrial index beta is -1.57. The precious metals sub-index beta is -1.53.
Commodities are closely linked with currencies, so the risk-on risk-off trades in the dollar have carried over to the global commodity markets. How independent is the BOJ? How independent is any central bank? With interest rates pressing lows and governments needing those low rates to reduce the cost of budget deficits as well as investors needing liquidity to buy debt, there is a growing questions whether central banks are independent. There is the facade that there is independence through arguments between the monetary and fiscal authorities and news reports of disagreements, but in the end, the central bank will still be beholding to the government for appointments and its livelihood. Central banks do not want to be blamed for fiscal failures. They have shown a willingness to play for the benefit of the fiscal authorities. The issue of independence has always been a question for the Bank of Japan. The BOJ has eased for the last two months, but usually shows a level of caution that may be out of place in Japan's slow growth environment. A recent joint statement between the BOJ and the government suggest that they both want to solve the problem of deflation. The statement placed equal weight on the central bank and government doing their parts to solve the deflation spiral and increase growth. The Bank of Japan is given autonomy for currency and monetary control but having a joint statement suggest coordination and a joint goal. The new policy of providing unlimited funds to commercial banks is similar to what is being used by the BOE through their Funding for Lending scheme which began in July. Unfortunately, a shortage of loanable funds has not been the problem in many countries. It is an issue of the real costs of those funds. In Keynesian speak, there is not enough aggregate demand for the amount of money outstanding. This is a fiscal government problem and not one of coordination. Pertrac has done a study of all the hedge fund in their database from 1996 through 2011 and found some interesting results. Small hedge funds, less than $100 mm, do better than large hedge funds. Young hedge funds which are less than 2 years old do better than older hedge funds. For small funds the cumulative performance difference was 558 versus 356 percent. For young funds versus older funds, the cumulative performance was 827 per cent versus 446 per cent for middle aged 2-4 years and 350 per cent for those tenured or more than four years old. Most would argue that the difference is partially associated with survivorship bias and the fact that the young and small are riskier, but this may not fully explain the difference. The young and small are hungrier and that matters. Should the dollar direction be higher? So let's figure this out. QE3 happened in the middle of September and the dollar has been moving higher since then. We have moved form 79 to 81 on the DXY dollar index. A currency should be moving lower on monetary action. The economy has gotten stronger. This should reduce the need for holding funds in the safe haven. Earnings and corporate sales are weaker which may cause risk-off trading. The fiscal cliff is a US event yet the dollar is higher even with post-election gridlock. Does this all make sense? The prrblem is that the key drivers of the dollar are not currently well-defined. This means that it is hard to trade currencies and the result has been a reduction in currency activity. If you cannot determine the drivers, you will exit the market. Increase factor uncertainty and trading will decline. Should the dollar go higher? This is a more difficult question when the driver of the dollar are not well-defined. 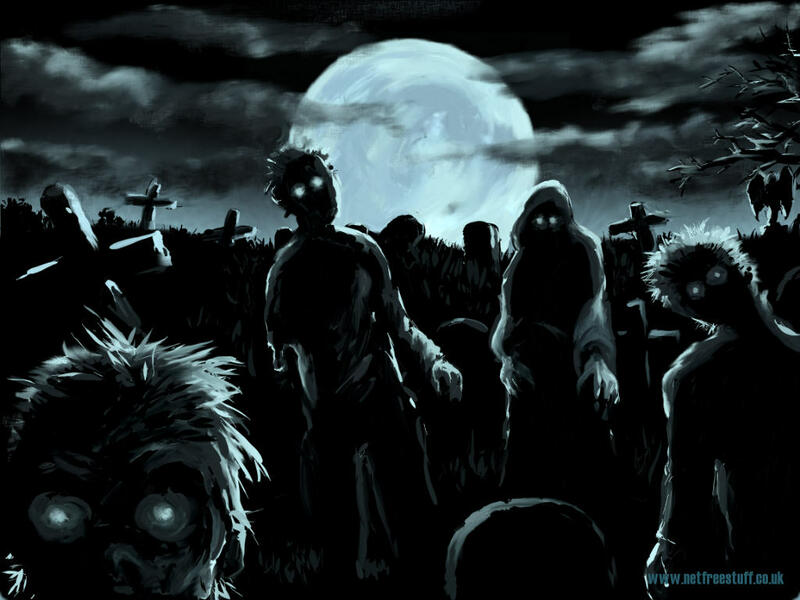 There has been much discussion in Japan about Zombie banks and corporations which still exist because they are propped up by the government and financial institutions. The loans are not called and the cost of funding is low. These firms will not go out of business. The move across the land and use resources feeding off of other market participants. 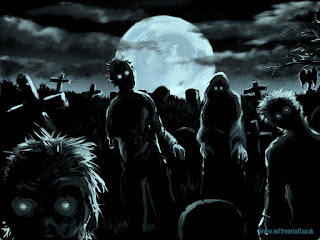 There can be sovereign zombies eating off of taxpayers but that is another story. These corporate zombies continue to exist because the cost of borrowing is so low. There is no discipline from the markets if you are not penalized for your mistakes. Of course, risky institutions are not able to get the lowest funding costs, but rates which reflect credit as a scarce resource would be higher and firms would go under. The problem that existed in Japan now exists in the US especially in the housing markets and it is unlikely to go away as long as the Fed continues to hold rates close to zero. 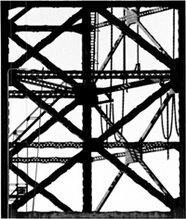 Maybe we do not want to change the industrial structure. The pain will be too great, but is there ever a right time?